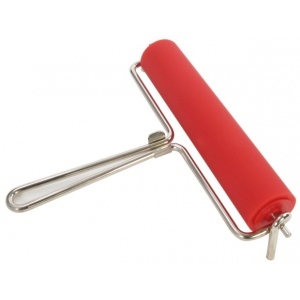 * These high quality ink rollers are available in a variety of sizes, diameters, and thicknesses to meet most needs. 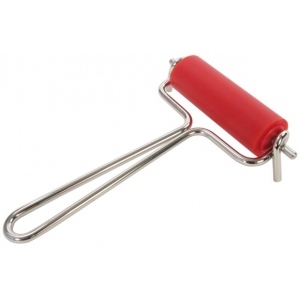 * At an affordable price, these rollers offer strong, lightweight construction made from a nickel plated rod. * Stand the roller on it's legs to keep the roller free from the workspace. * The rubber is water and (with some restrictions) oil resistant. 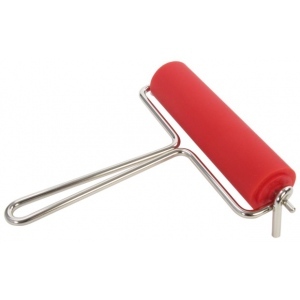 * The inside of the roller is made of plastic preventing the roller from getting damp. 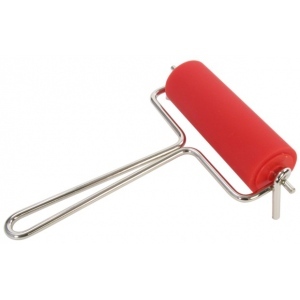 * The roller is easily removable from the spring steel handle making it easy to clean. * 0.12" thick rubber padding.